Over the past two days, I was glued to my television screen as one reporter after another stood in the rain and braved gusty winds to give the world a very detailed account of the cyclone Phailin that hit the eastern sea coast of India. Such reportage was unparalleled especially in comparison to the reporting around the massive super cyclone that hit the same region in 1999. Twenty-four-hour broadcasting ensured the cyclone's landfall made it to TV screens at the same instant as it ravaged through villages and towns in India. Even with all the technology and the TRP buzz, one vital issue has remained out of discussion so far and that is the elephant in the room, global warming. I've been chided several times by reputed individuals in the field of science to not connect any single weather event to climate change and rightly so, it's simply not scientific to beat the climate change drum for my campaigning cause. But when these very scientists, the whole 800 of them, unequivocally state that extreme weather events are on the rise and countries like India are highly vulnerable, I find it counterproductive to not connect the dots from cyclone Phailin to climate change. Let's take a brief look at the science. Cyclones are low pressure systems that form over warm tropical oceans. They derive energy from the warmer waters and do not form unless the temperatures are over 26.5 degrees Celsius. The recorded temperature in the Bay of Bengal where Phailin developed was 28-29 degrees Celsius with very high heat content. The sea surface temperature variations over the past few decades in the Bay of Bengal show an increasing trend, more particularly pronounced since 1992. According to Dr. Jeff Masters' WunderBlog: "In fact, twenty-six of the thirty-five deadliest tropical cyclones in world history have been Bay of Bengal storms. 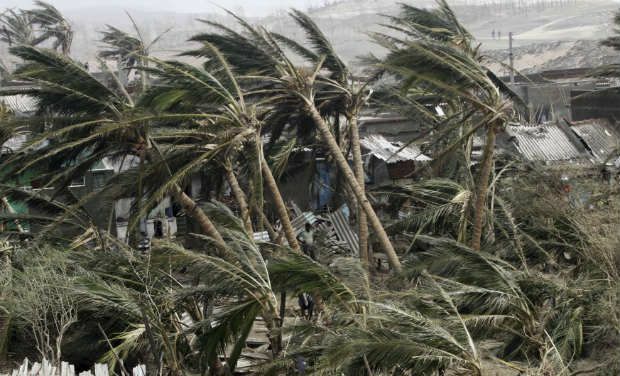 During the past two centuries, 42 percent of Earth's tropical cyclone-associated deaths have occurred in Bangladesh, and 27 percent have occurred in India." "Over the two decades many parts of India -- including Andhra Pradesh -- will be increasingly exposed to disasters. The focus on how deadly disasters can be should not obscure the fact that many homes, hospitals, shops and schools will have been badly impacted in ways which will drive people into poverty, said Dr. Tom Mitchell from ODI." Climate change is as much about politics as it is about science and to act on it would require political mobilization preceded by a greater public demand to acknowledge and act on this clear and present danger. India's response to Phailin has been commendable. Over 800,000 people have been moved in the biggest evacuation of Indian history and the casualty rate has been remarkably low. With rapid deployment of the army, navy, coast guard and other reserve forces along with makeshift relief centers, thousands of lives have been saved. But disaster preparedness is as much about livelihoods as it is about lives and the cyclone's impact has been devastating with 9 million people affected and huge losses to crops and homes. Rehabilitation and restoring their livelihoods is a daunting task. Phailin should therefore be another stark reminder for us to think hard about climate adaptation in what is now a new normal in our planet's weather. The Uttarakhand floods in June, Phailin today and other disasters await India tomorrow. Ignorance and denial are not an option anymore and further inaction will come at our own peril. 350.org India is organizing an online #ClimateChat on Friday, Oct. 18, 2013 at 5 p.m. IST. Anyone with queries about climate change, its impacts, causes, perceptions and solutions in the Indian context can pose their questions to a reputable panel via twitter using the hashtag #climatechat. The chat will take place on Google Hangout and those interested can register here.